When I meant that Kolhapur was one of my favorite cities in Maharashtra, or maybe my favorite (it is a tie with Nashik) overall, it is not an understatement. It was the colors, the traditions, the food, the people and just simply the air I breathed in while there. 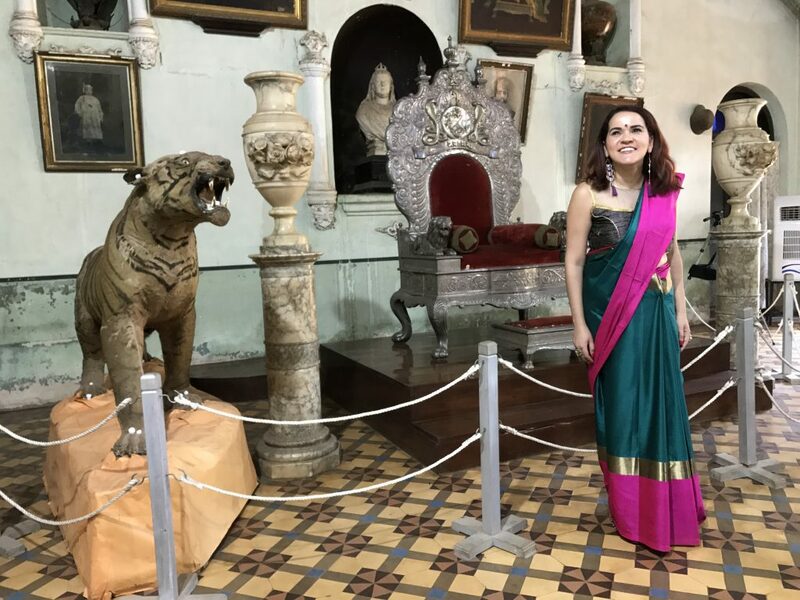 As I wandered around the streets of Kolhapur City, I felt so happy to interact with the fruit vendors, or people-watch the women walking around in their majestic colorful Maharashtrian Traditional Sarees. It was like a walking in a fashion runway! While I can say that, in India, fashion is amazing, in Kolhapur, it goes even beyond that. Not surprised then to learn that one of the ladies biggest weaknesses is Kolhapur shopping. Shopping in Kolhapur is just amazing, full of options and so budget friendly too. You can find everything in Kolhapuri from shoes (Kolhapuri Chappal for ladies) and traditional sarees (Kolhapuri Sarees come in unique prints/colors) to many other clothing and accessories. It is the paradise of shopping experiences and, as I always remind myself, you can find style in every culture and embrace it. 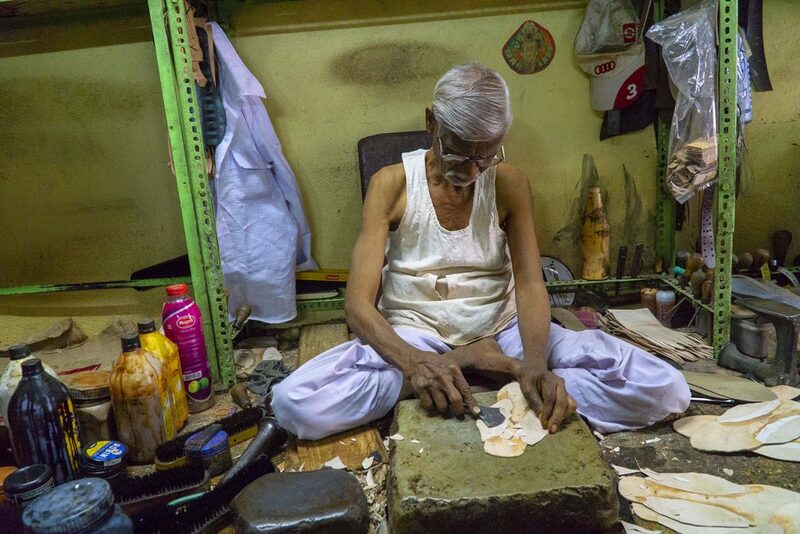 This is why, on this visit to Kolhapur while aboard the Deccan Odyssey luxury train, I not only visited some saree shops but I also learned about the history of Kolhapuri Chappals. Let’s get started! Here’s what I learned. 1 What are Kolhapuri Chappals? 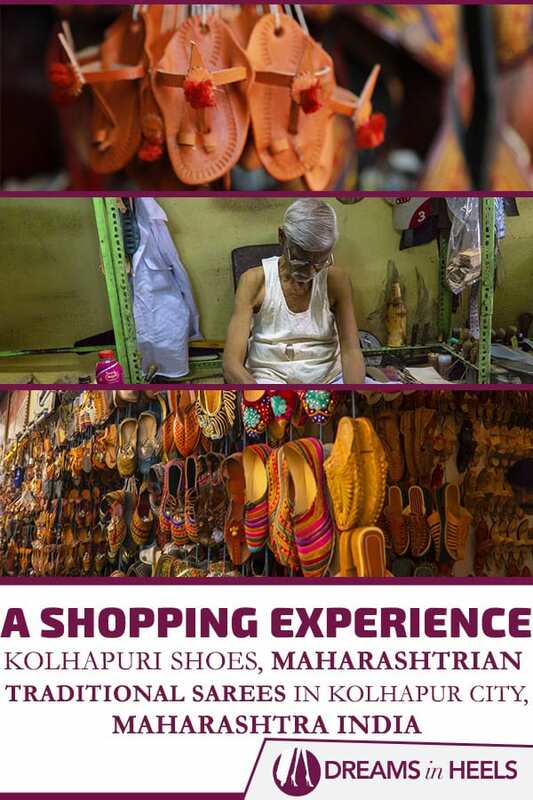 3 Kolhapur Shopping: Where to buy Kolhapuri Chappals in Kolhapur? Kolhapuri chappals are beautiful Indian, hand-crafted leather slippers/sandals (style of open-toed, T-strap sandal) that originated in Kolhapur, in the Maharashtra state of India. 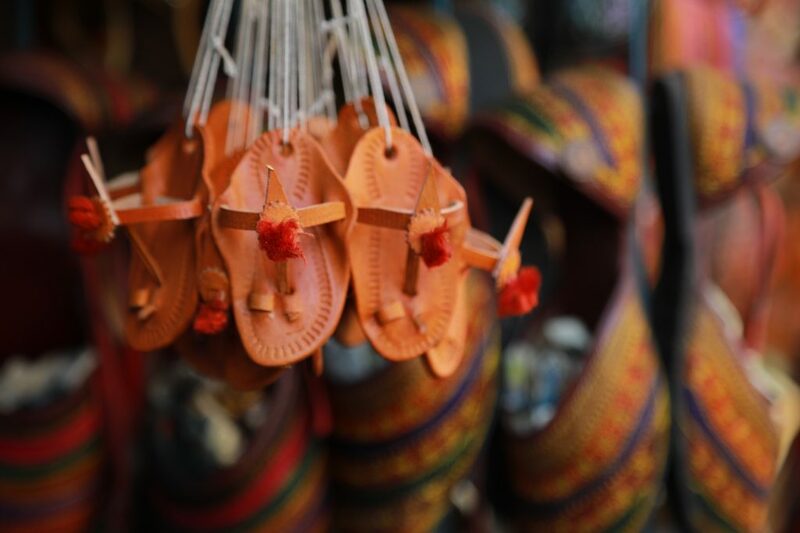 Kolhapuri chappals are locally tanned using vegetable dyes, and it’s a tradition and business that has been passed from generation to generation. Fun Fact: Creating these shoes is like working on a piece of art (and lots of hard work) since one pair can take up to 6 weeks to be made. As a result, if properly taken care of (and not worn in the rain), Kolhapuri Chappals or Kolhapuris can last a lifetime. There are many kinds of Kolhapuris styles and colors. Kolhapuri Chappals are made for different occasions: simpler ones for daily use or more intricate and detailed ones for special events. And they truly go perfectly with the beautiful traditional Maharashtrian Sarees. It is such a shame that I cannot wear these beautiful shoes (such a shame that they are flat…none with heels). As you might not be familiar with my story, but I have a condition in my legs (a short Achilles tendon), so I cannot walk in flat shoes, hence my blog, Dreams in Heels, was born! Anyhoo, I was happy that I got to see a live demonstration of how local artisans handmake these leather shoes, from beginning to end (final stage is the polishing). 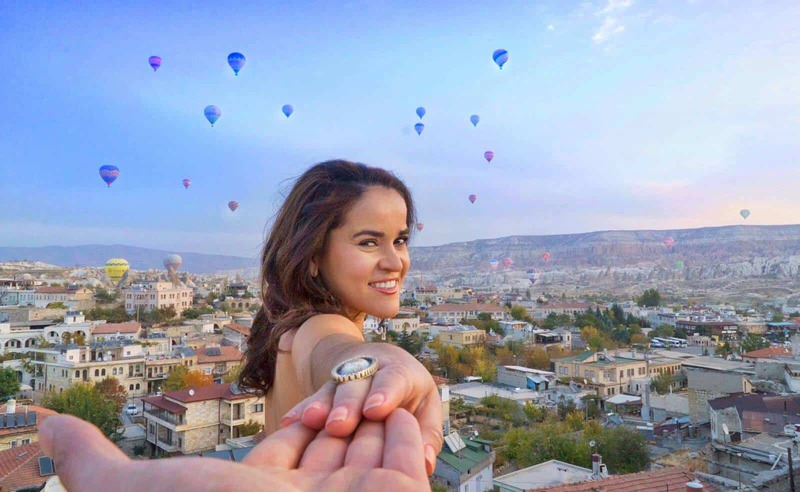 Suggested: Best Places to visit in Jaipur in One day – Must see, do, and eat in The Pink City of India! Kolhapuri Chappals were first worn as early as the 13th century. Previously known as Kapashi, Paytaan, Kachkadi, Bakkalnali, and Pukari, the name indicated the village where they were made. According to one of our tour guide, they were also use by woman to warn men when they came home late or misbehave. This is definitely not too far from our chancletas (sandals in Spanish) that are often used by Latinas (moms or grandmas) to threaten kids with if they misbehave (and who knows how many have been thrown at a husband or two as well, Ha-Ha). 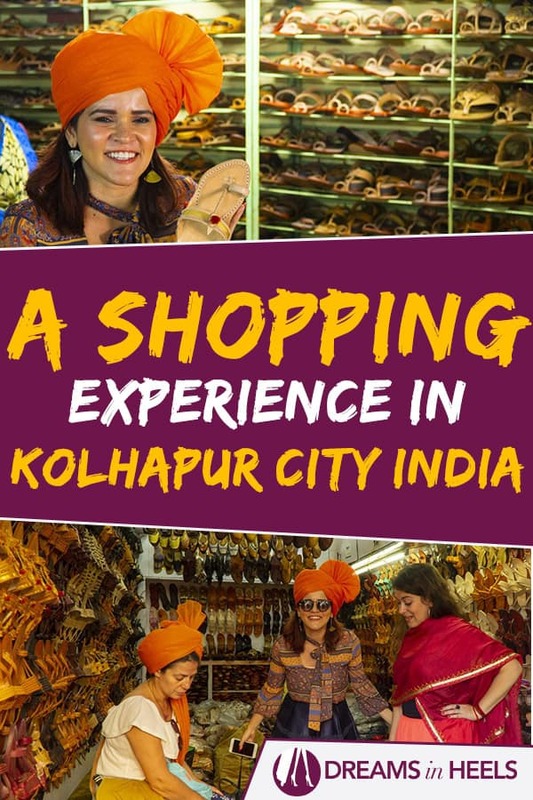 Kolhapur Shopping: Where to buy Kolhapuri Chappals in Kolhapur? Kolhapuri Chappal for ladies are pretty much everywhere in Kolhapur City, but best to find quality shops. The place we visited was a family generational business (their grandfather was sitting on the floor still making them!). 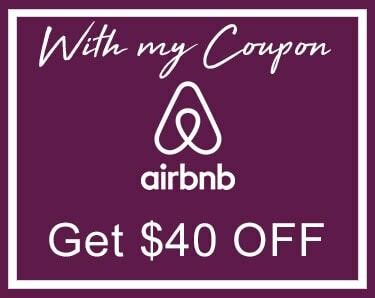 Personally, I prefer to support small businesses. You can also find Original Kolhapuri Chappal online (find comfy women’s flat here), but nothing compares with visiting the place where they are really made, interact with the locals and buy them right on the spot directly from the hand of the artist. I truly love to find style and beauty in every culture. This is a true example of that. With the technology nowadays, you can also find Designer Kolhapuri Chappals with more fancy styles. I still prefer the original, neutral colored ones with a small pop of color. To me, they are the real deal! By the way, while in Kolhapur, do not forget to get a traditional saree. Kolhapur is also known for having some of the best sarees. I can testify to that, from the colors, to the unique fabrics. Do not forget to pay attention to the fabrics and quality. Not all sarees are made with the same quality. They can be amazing silk ones or they can be of lower-quality fabric. Overall, while in India do some some shopping; you can never go wrong. They have amazing styles and fashion for much lower prices. This is also the best way to give back to the country by helping families and small businesses. It’s a win win for all! 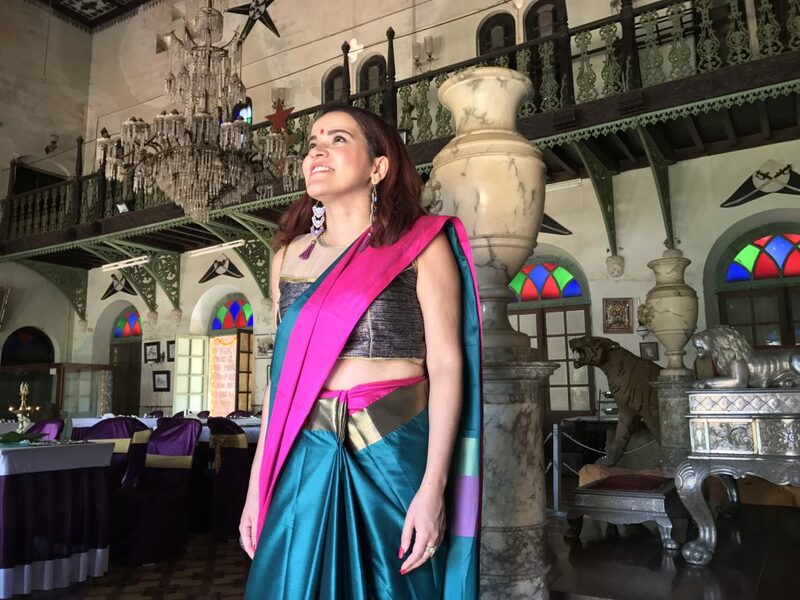 such a beautiful Maharashtrian saree! 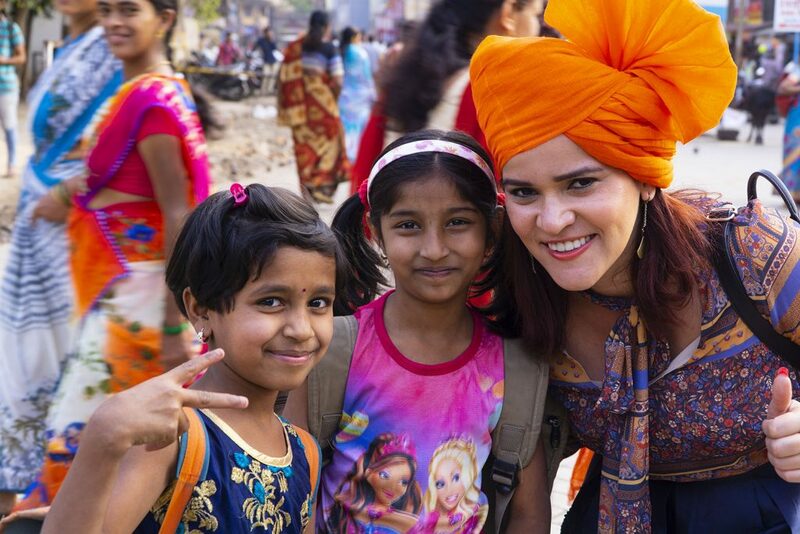 I read this Amazing article about Fashion in India. I Read your Blog and it is Very nice,Informative and Useful Content Creation. Thanks for sharing good things about India. Most of the girls and women use printed sarees in daily life. Thank You!! !